Do you want a OnePlus 2 but don't want to wait for an invite? You're not the only one, and several clever souls have already figured out how to game the OnePlus 2 invite system – and we don't mean by giving into one of OnePlus' notoriously debatable competitions either. Here we'll explain how to get a OnePlus 2 invite, how to get one faster and how to buy a OnePlus 2 without an invite at all. It's sale day – August 11 – and already, three and a half million people have registered to buy a OnePlus 2. But, OnePlus has already had to admit its system isn't perfect and has informed fans that the OnePlus 2 will take two to three weeks to hit North America, although you can still buy one today. Like it or not, the invite system was always going to strain under the weight of the pressure. We already knew OnePlus was feeling more confident this time around, and that it would be producing many more devices up front (and many more in each successive batch), but these kinds of numbers might still take a while. 1. Register on the waiting list and wait. That's what a waiting list is for. Keep in mind that existing OnePlus community members will be prioritized ahead of the run-of-the-mill interested party. It pays to be dedicated. 2. Participate in one of the contests offered by OnePlus as a means to jump to the front of the line. The first was called #WWYDF2 (What Would You Do For The 2?) and the 22 winners have just been announced. Stay tuned to the OnePlus forums and social media platforms for new competitions and ways to shortcut your way to an invite. 3. Get yourself an invite from a friend that has already bought a OnePlus 2. OnePlus assures us that we're looking at much faster 'shareables' this time around, so if you know someone with an invite or a OnePlus 2 already – start sucking up now. 4. Keep an eye on this reddit thread where OnePlus 2 invites are being given away. We don't recommend you try to skip the waiting list to get a OnePlus 2 invite. Those who have already registered deserve to get their OnePlus 2 invite in the order they signed up for one. But that doesn't mean that OnePlus hasn't provided ways for the faithful to move ahead through determination and dedication. Where there's a will, there's a way. There's also usually a way to game the system. Such was the case with Jake Cooper, who initially bought an invite for $20 from XDA Developers (another dodgy way to circumvent the queue). Jake is a resourceful lad and figured there had to be a simpler way to go about it. So he decided to write some code to get around things by sharing the waiting list URL en masse (one way to make your way through the list faster). We won't detail what he did (OnePlus has patched his hack in any case) but you can read the process over on Medium if you want. In Jake's defence, he did notify OnePlus of the bypass method and OnePlus promptly closed up the loophole. But that only sparked Jake's competitive spirit and so he did it again. Once again he detailed the method and posted the original script to Github for interested parties to take a look at. We're sure there are other methods out there if you're unscrupulous enough to go looking for them. Just make sure you feel guilty while you're doing so. Like Jake's XDA adventure, you can always keep an eye on Amazon and eBay in the coming days and weeks to see what kind of inflated price various scoundrels put on the OnePlus 2. Of course, some folks might simply decide they don't like it and fair prices are a possibility. Unlikely, but a possibility nonetheless. You can also head straight to OppoMart and grab yourself a OnePlus 2 while stocks last. You can also keep an eye out for OnePlus' "limited stock" sales. Although be warned, "limited stock" means very limited. At the Colette store in Paris, more than 200 people lined up and there were only 20 OnePlus 2s available for purchase. 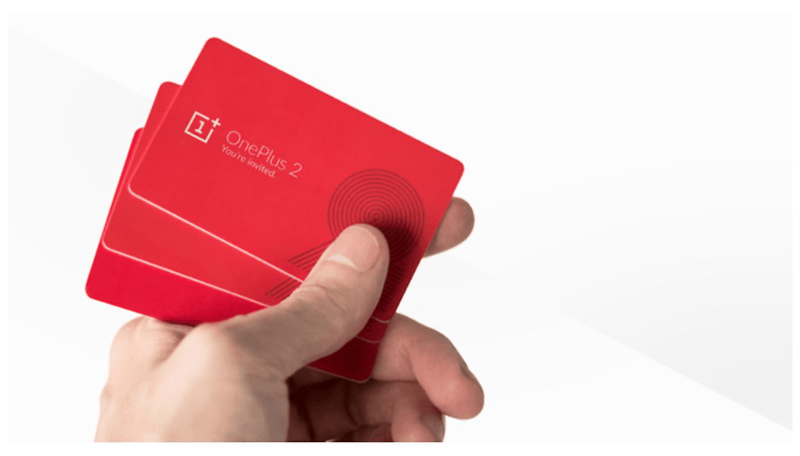 Do you have a OnePlus 2 invite? How long do you think it will take to get your OnePlus 2?